Last offseason the Twins signed free agent Phil Hughes to a three-year, $24 million contract in the hopes that a change of scenery would help get his career back on track after an inconsistent, disappointing, and ultimately sub par seven-season run with the Yankees. They got that and so much more in the first season of the deal, as Hughes made 32 starts, threw 209.2 innings, and struck out 186 while walking 16 for the best strikeout-to-walk ratio in the history of baseball. 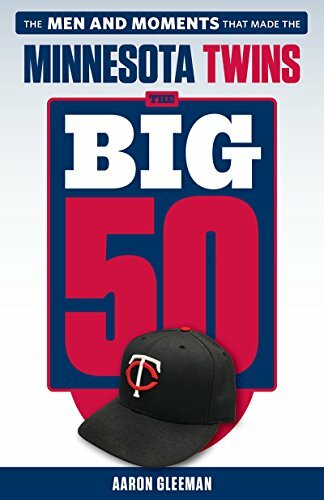 It was the best performance by a Twins starter other than Johan Santana or Francisco Liriano during the Ron Gardenhire era of 2002-2014, and Hughes ranked as one of the 10 best starters in the league and was my choice for team MVP. He was great and better yet he was great in such a way that suggested Hughes had not simply lucked into a fluke season and had instead genuinely changed his approach to better fit his skill set after years of unfulfilled potential in New York. 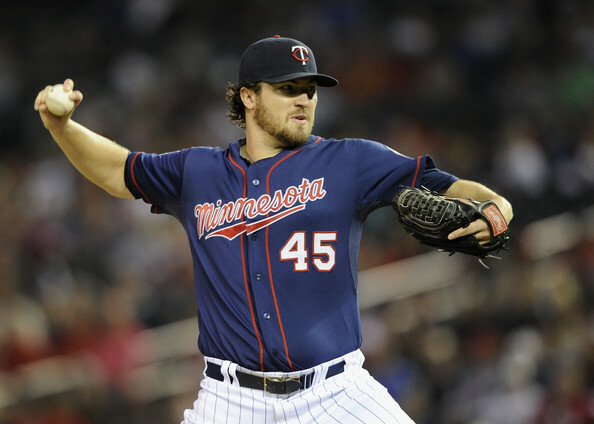 Clearly the Twins agreed, because Monday they signed Hughes to a three-year contract extension worth $42 million. As part of the extension his salaries for 2015 and 2016 will rise from $8 million to $9.2 million and then Hughes will get $13.2 million per year from 2017-2019. He's under team control through age 33 and Hughes, not Joe Mauer, is now the Twins player signed farthest into the future. By having a breakout, potentially career-altering season in the first year of a three-year contract Hughes put the Twins in position to make a tough decision. If they left his contract alone and he had a similarly fantastic 2015 season the price tag for an extension would have risen dramatically and at that point it's possible Hughes and his agent would have balked at any extension talks with the ability to test the open market as a free agent just one year away. Trading him was another option, but the time to trade veterans coming off career-years was 2-3 seasons ago and the Twins ignored that route. Given the current readiness or near-readiness of many top prospects and the investments in Torii Hunter and Ervin Santana the Twins seem to think they're close to turning things around after four straight 90-loss seasons and in that case Hughes is the type of player they should be looking to acquire not looking to trade away. Ultimately it comes down to whether you believe Hughes' improvement is sustainable, or at least mostly sustainable. Odds are he's going to regress after posting the best strikeout-to-walk ratio of all time, because that's just how things tend to work, but if Hughes continues to pound the strike zone after years of mediocre control and continues to rely on his newfound cut-fastball after years of leaning heavily on a mediocre slider the improved results should be permanent. And here's the thing: Even if Hughes regresses a lot and even if many of the strides he made in 2014 prove temporary the Twins have committed to paying him Santana/Ricky Nolasco money for an extra three years. He doesn't have to be the 2014 version of Hughes to make that a decent investment because that's more or less the going rate for veteran mid-rotation starters. He could be the 2010 version or the 2012 version and they'd still be getting reasonable value. Extending a player one year into a three-year contract and one season removed from his value being at an all-time low due to poor performance is definitely a risk, but in this case it's a risk that won't break the bank if it goes poorly. Obviously the Twins are betting on Hughes, but they're also betting on the rapidly increasing revenues across MLB making it so that $14 million per season for a starting pitcher in 2017, 2018, and 2019 will be a relative drop in the payroll bucket. And the upside to that same gamble is massive. Hughes' breakout season was worth around $30 million and the investment needed to acquire a different under-30 pitcher capable of that type of performance starts at about $150 million via free agency or multiple top prospects and a large salary via trade. This extension is a bet on Hughes not being who he used to be and $14 million not being what it used to be, and in both cases the Twins have a chance to be right in a big way. 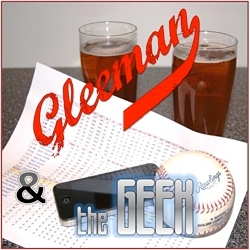 For lengthy discussion about where the Hughes-led Twins rotation stands for 2015 compared to the rest of the AL Central teams check out this week's "Gleeman and The Geek" episode. That was pretty much my take over on HBT the other day. I like the move, low risk and high reward possibilities. about time they do something right! I thought negotiating an extension was a no brainer item for the To Do list, and getting Hughes to agree to just a 3 year extension at a very modest, Nolasco-level salary was tremendous work by Ryan. It’s true that the Twins had Hughes for 2 more years, and that’s what gave them the necessary leverage, but Hughes is still very young. If he hit FA again at age 29 as just a 3+ WAR pitcher, he’d have been looking at 5 plus years at $20M per. In 2017, his contract is going to be looked at as a huge bargain. And yes, I understand there’s risk, but Hughes was a top prospect who had already had success in the majors, if not sustained success as a starter. It’s not like this season came completely out of the blue. He’s always been expected to be good. Now he is. And the Twins will pay him about $50M less over the next 5 years than the 33-year-old James Shields is going to get.